Come and speak to our team of Student Advisers at the Business Solutions Centre. 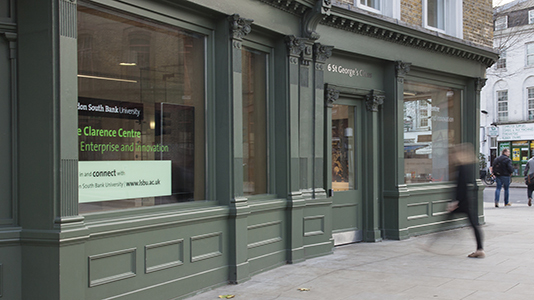 We're located at the Clarence Centre in the heart of Southwark, near many easy-to-reach transport links. The Business Solutions Centre is open on Mondays and Thursdays, from 2pm until 5pm.